The Atlantic City Boardwalk was built in 1870 as a way to keep sand out of hotels when this town was first developed as a summer resort. Although the best way to access the wooden walkway is by biking or walking its four-mile length from Absecon Inlet to Ventnor City, you can opt for a human-powered rolling chair, first introduced to the boardwalk in the 1880s, when riding one was considered the height of luxury. Back then, sun worshippers flocked to Atlantic City and the wide, clean beaches, while top bands and acts played on the 1,000-foot-long Steel Pier — now a popular amusement park, enhanced in 2017 by a towering 227-foot Ferris wheel. The wide beaches are still here, as are the headliners (this summer: Ringo Starr, Dave Chappelle and Carrie Underwood), along with the rolling chairs, and a growing number of family-friendly activities. Where to stay: Bally’s Atlantic City and Resorts Casino are right on the boardwalk and have recently been renovated. Summer 2018 highlights: Tropicana’s free fireworks series on the boardwalk every Saturday at 10 p.m. through Sept. 8. Bike rentals (including cruisers, tandems and children’s bikes) available at Iowa Avenue and the Boardwalk at Tropicana (7:30 a.m.-noon daily). Midsummer opening of Ocean Resort Casino in the former Revel Casino space. Since Victorian times, Rehoboth Beach has attracted families of all kinds — including, increasingly, LGBT families — from Philly and the D.C. area. But New Yorkers and New Englanders have discovered this foodie destination as a quiet alternative to the wilder Jersey Shore. Things haven’t changed much in 100 years. Dogfish Head’s original brewery is in Rehoboth, and seasonal visitors make a beeline to Dolle’s Candyland, which has been selling saltwater taffy since 1927. 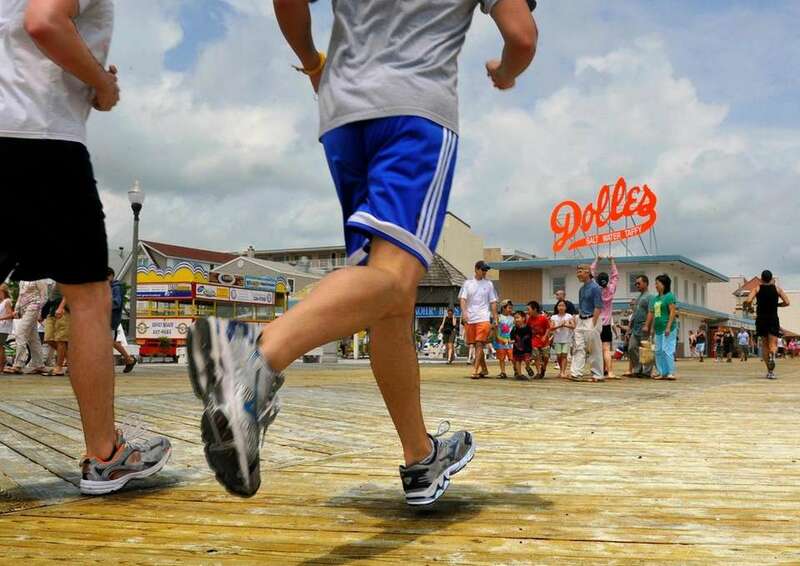 Reader’s Digest proclaimed Rehoboth Beach Boardwalk the “Best of America” in 2006, and it remains the quintessential beach town experience today. 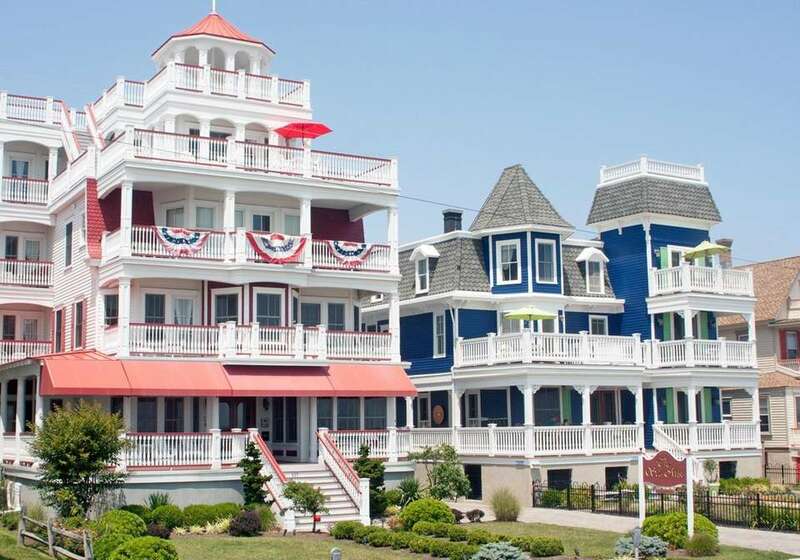 Where to stay: Both the “Victorian-chic” Boardwalk Plaza Hotel and recently renovated Sands Hotel are directly on the boardwalk. Summer 2018 highlights: Funland, in operation on the boardwalk for nearly 60 years, just rebuilt the Jungle of Fun ride to accommodate kids ranging from toddlers to teens. 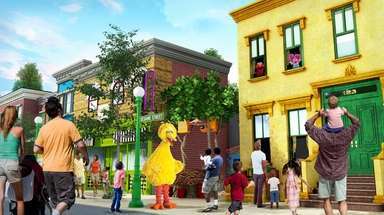 Defining features: Plenty of benches, vividly colored Victorian homes. Where to stay: Both the Montreal Beach Hotel and Ocean Club Hotel are located just across the street from the Promenade and beach. Summer 2018 highlights: Take a guided weekly walk at Cape May Bird Observatory. See the most flamboyant Victorians on a MAC Trolley Tour, join a Cape May food tour or visit the free Cape May Zoo (several miles away). 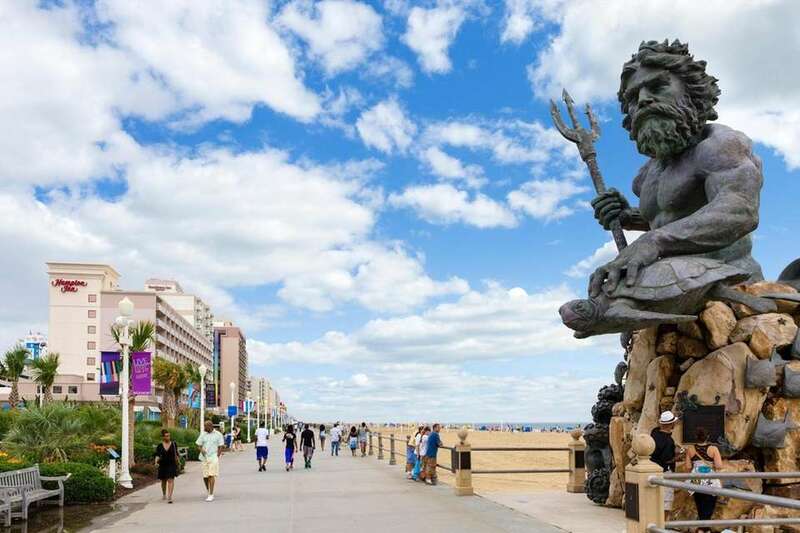 The three-mile-long Virginia Beach Oceanfront Boardwalk, running from Second to 40th streets, is lined with high-rise hotels and apartments, making it the most urban of the beach towns on our list. The boardwalk’s most prominent feature can be found at 31st Street — the 24-foot-tall statue of Neptune that is, naturally, an Instagram darling. Though the boardwalk features the requisite kiddie rides and greasy spoon eateries, you’ll also find two compact but fascinating museums. The Old Coast Guard Station Museum traces the history of the U.S. Life-Saving Service back to 1871 with dramatic photos and stories. The Atlantic Wildfowl Heritage Museum has as much to do with the wealthy DeWitt family, who purchased this Victorian beachfront home in 1909, as it does about the evolution of local duck decoys from crude carvings to folk art. “Why did only this cottage out of the many that lined the boardwalk from Fourth to 12th Street survive the great hotel building boom? 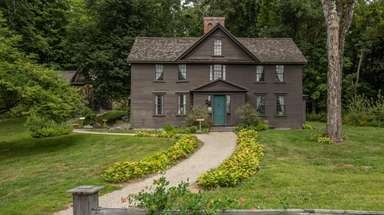 Because of the stubbornness of three DeWitt sisters who refused to sell,” says a docent. Where to stay: The Virginia Beach Boardwalk is replete with hotels of every brand from Comfort Inn to Hilton, Sheraton, Marriott, Best Western, La Quinta, Ramada and more. The 1920 Cavalier Hotel (Marriott Autograph), has relaunched after a multiyear, multimillion-dollar renovation. 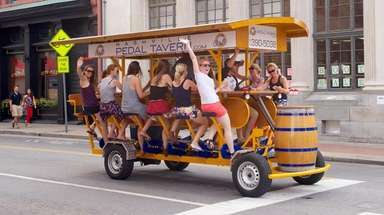 Summer 2018 highlights: Bicycle tours (through beachbiketours.com), the opening of Virginia Beach’s first all-outdoor dining establishment, The Yard at Ocean 27. 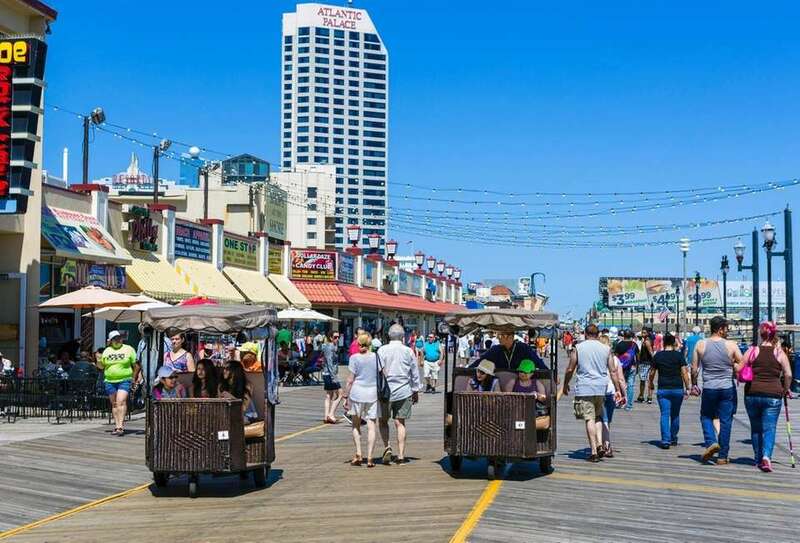 Defining features: Wildwood sightseer tram cars, “Doo Wop” style architecture. 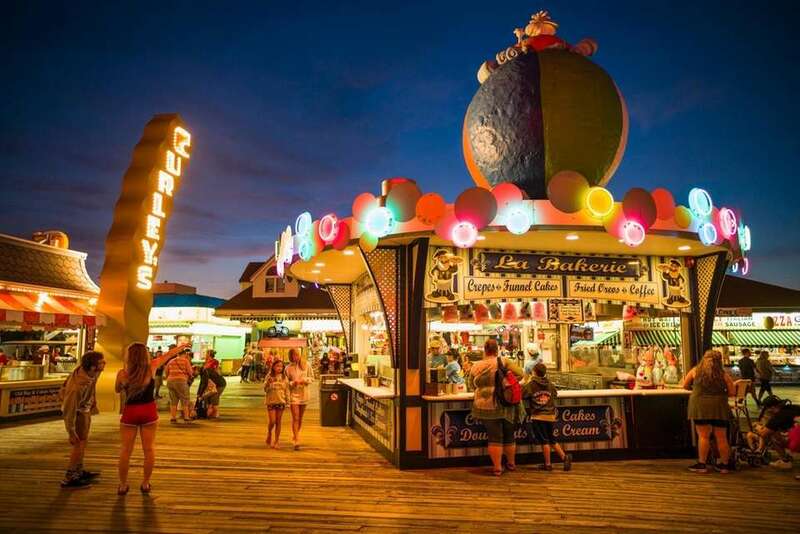 The 2.5-mile Wildwood Boardwalk is sensory overload at all hours, but particularly at night, when multitudes consume pizza and frozen custard, and the lights and sounds from Morey’s Amusement Park fill the air. The “Watch the tram car, please” recorded message that emanates from eight eco-friendly Wildwood Sightseer Trams (originally built for the 1939 New York World’s Fair) is the essence of the boardwalk’s identity — the phrase is even stamped on T-shirts and souvenirs. There are abundant amusement park rides and water park features on three Morey’s piers: Surfside Pier, Mariner’s Pier and Adventure Pier. Wildwood, North Wildwood and Wildwood Crest, collectively known at “the Wildwoods,” embrace the zeitgeist of the 1950s, when doo-wop music commandeered the airwaves and space-race Jetsonian architecture heralded a promising future. Tony Bennett called Wildwood the “real birthplace of rock and roll,” because Bill Haley and the Comets premiered “Rock Around the Clock” here. 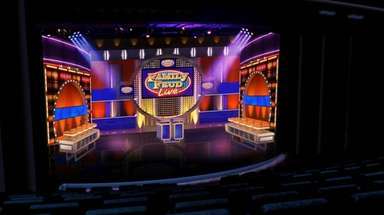 More than 3,000 teens at a time boogied to a new show called “American Bandstand,” Buddy Holly debuted “That’ll Be the Day,” and Chubby Checker (who still comes every year) spent his 19th birthday demonstrating his brand-new dance, The Twist. Where to stay: Both the Starlux Hotel and Caribbean Motel are near the boardwalk and offer a renovated “Doo Wop” lodging experience with plenty of luxe kitsch. Summer 2018 highlights: The new Seaport Pier is scheduled to be unveiled for the summer 2018. The re-imagined Pirates of Wildwood 3D Cartoon Journey and Wild Whizzer coaster are new on Morey’s Mariner Pier. Charming NY villages perfect for weekend tripsLong Islanders in pursuit of quirky, artsy, sophisticated weekends will find plenty of opportunities in these distinct Hudson River Valley villages, just a couple of hours’ drive from home. 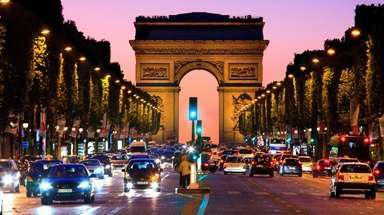 5 vacation hot spots to visit in the off-seasonHere are five destinations where the fun flows on long after high season.